How to take a snapshot of my server? If something goes wrong in your server with new updates or etc. it is always good to have a snapshot ready. 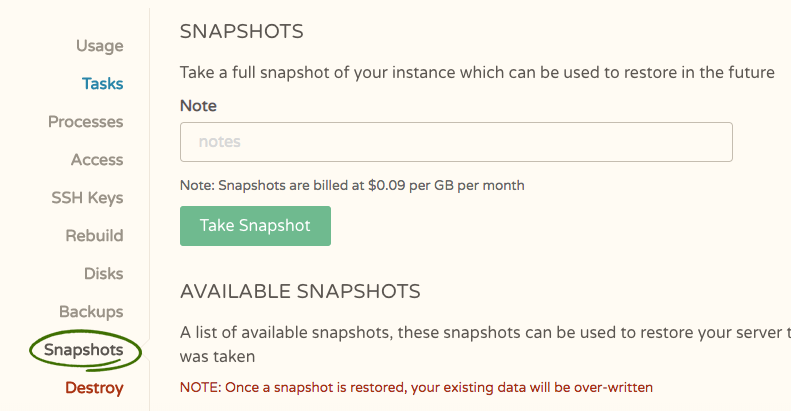 A snapshot can restore your server back to the point in time before the error occurred and help you get the issue rectified. It can also be used to help with creating quick backups. 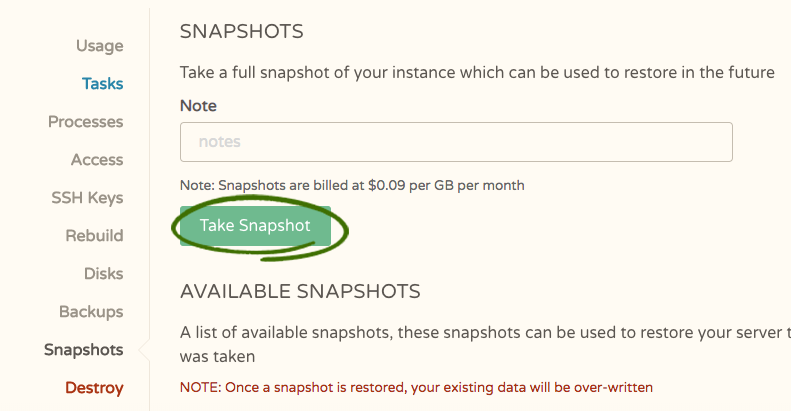 Taking a snapshot is pretty easy, the following steps will guide you to take a snapshot of your server. You can monitor your snapshots progress in the tasks tab.